Euro Invest Agency benefits from more than 30 years experience on the French Riviera market and offers a wide range of apartments, villas and new property development for sale from Menton to Cannes. EURO INVEST IMMOBILIER OPTIMAL Agency is a member of FNAIM, which is the most representative professional organization as far as real estate mediation is concerned. Choosing EURO INVEST IMMOBILIER OPTIMAL Agency means benefiting from a company with an esteemed and recognized practice, which is in touch with its clients’ expectations.Our team will welcome you at any time and help you to find the property of your dreams. 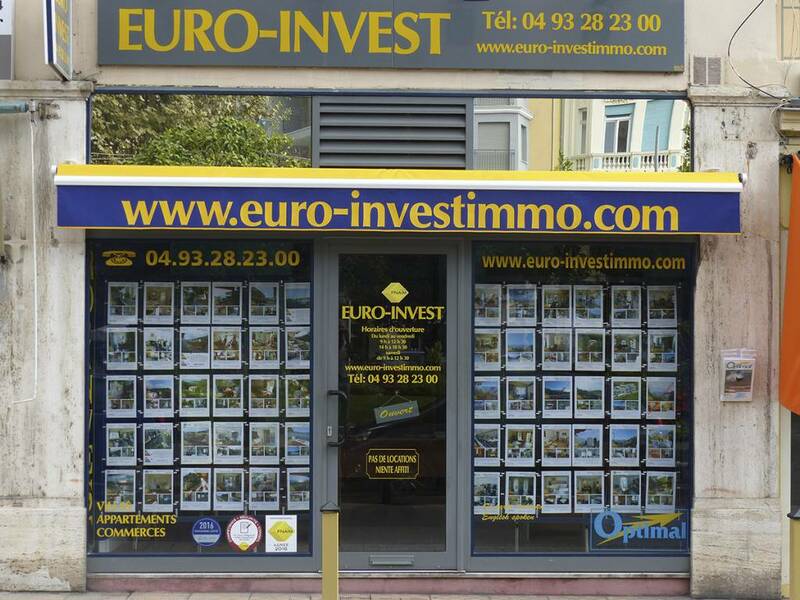 If you want to sell, EURO INVEST IMMOBILIER OPTIMAL can advertise your property at both national or international levels and also approach its fellow real estate agents. The members of EURO INVEST IMMOBILIER OPTIMAL Agency are competent professionals willing to satisfy your demands and offer you their legal, financial and tax high standard skills, as well as a personalized assistance to carry out your property project. They have developed through years a deep knowledge of the market and an ongoing presence on the field, and have a privileged relationship with the sellers and the buyers.They also supply various services such as drafting provisional sales agreements or offers to buy, receiving agreed funds and taking responsibility for all these acts. As a buyer, you will be assisted in taking the necessary steps to obtain the best financing, and find tailor made solutions.